8 CD album box set (LP format) with 62-page book, 202 single tracks. Playing time approx. 477 minutes. 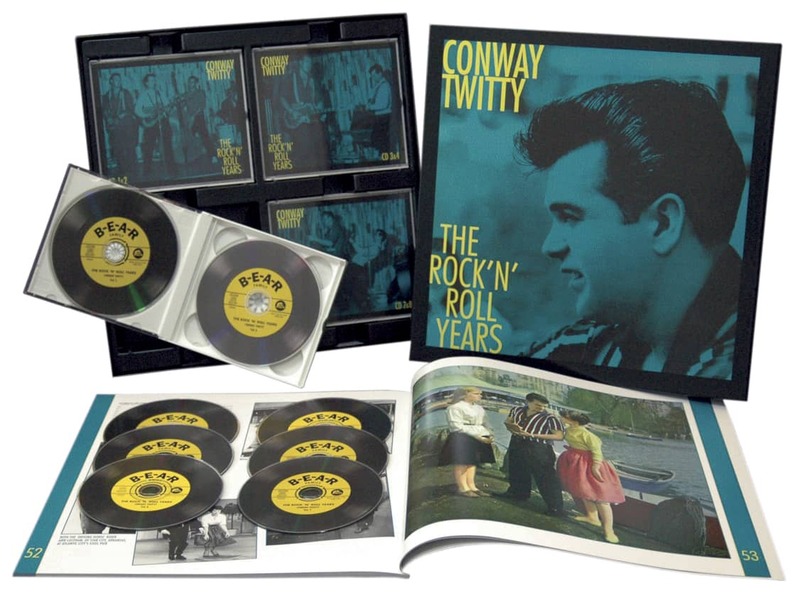 This CD album Boxset contains 40 recordings of Conway Twitty that were previously unknown. All Rock'n' Roll hits are there like It's Only Make Believe, Mona Lisa, Lonely Blue Boy, Hey Little Lucy and the rare Rosaleena, only released in England. 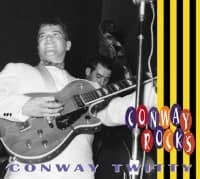 New in this CD album Boxset is a double-sided instrumental single Highland Rock/Midnight Creep by Conway Twitty and his band, plus all NBC recordings - many previously unreleased, further then twenty likewise unreleased MGM recordings of tapes that were only recently found. An enormously important publication on the history of rock'n' roll. 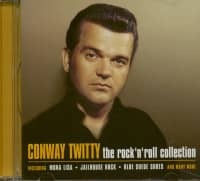 During Conway Twitty’s last years, he had good reason to reflect that country music was starting to take on much of the character of rock ‘n’ roll as he remembered it. New faces, impossibly young and good-looking, coming and going so quickly. It was so like rock ‘n’ roll in the Fifties. Twitty probably knew that--in all likelihood--there would never be another career like his. His story spanned almost thirty years in the country charts, and another five years in the pop charts before that. 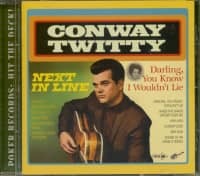 All told, there were five decades in which a Conway Twitty record was somewhere in the charts. It was an epic career with all the ingredients of the movie that will probably be made. Conway Twitty’s greatest gift was his intuitive understanding of his audience. 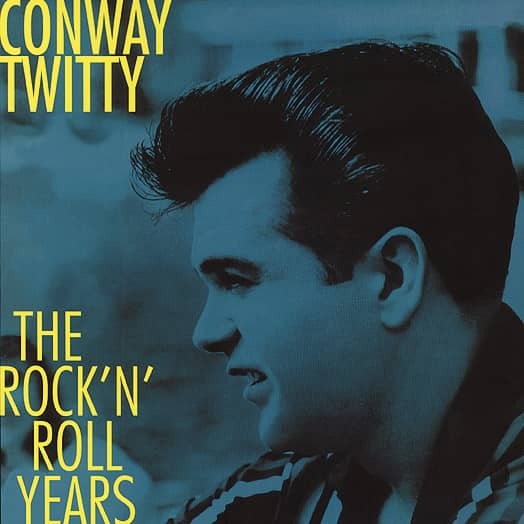 When rock ‘n’ roll changed in the mid-1960s, he realized that neither he nor his fans were listening to it any more, so he switched to country music. Country spoke to him and his audience in a way that rock didn’t. As a country singer, he wrote songs and searched out songs that addressed everyday highs and lows. He followed a generation as it made its often awkward way into and through adulthood. 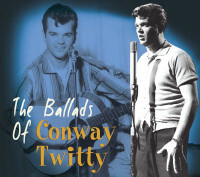 Whether rockin’ on Bandstand or croonin’ in Branson, Conway Twitty always knew what his audience wanted. He didn’t need market surveys, media consultants, or spin doctors. He just knew. Conway Twitty was born Harold Lloyd Jenkins in Friars Point, Mississippi, on September 1, 1933, the oldest son of Floyd and Velma Jenkins. Velma named Harold for the bespectacled slapstick comedy star of the silent movies. Friars Point is a small town on the Mississippi, 75 miles south of Memphis. Five hundred people lived there then. In later years, Twitty liked to draw a parallel between himself and Huckleberry Finn, but the fact remains that Twitty was a child of the Depression. Floyd worked when and where he could, and was often away from home at WPA camps. He was part of the crew that built the dam at Sardis, Mississippi, and when Velma went there to live with him, she left young Harold with her mother. Grandma McGinnis worked at Pa Fuller’s boarding house, and it was Pa Fuller who gave Twitty his first guitar. When Twitty was eight, Floyd and Velma came back to Friars Point, and Floyd got a job on one of the ferry boats that crossed the river. Two years later, in 1943, the family moved over to the Arkansas side and settled in Helena. Music was everywhere in that part of the Delta; it came from the Grand Ole Opry, local radio, tent shows, socials, church, street musicians, and almost every front porch. It was part of the fabric of life. “The only music we ever heard was country music,” Twitty said later. “We’d all get together on Saturday night at my grandma’s house and listen to the Grand Ole Opry. I didn’t know there was another station.” When Twitty began to pick and sing, the Opry stars were his early idols. Roy Acuff, Ernest Tubb, Red Foley, Robert Lunn 'The Talking Blues Boy,' Eddy Arnold...they all left their mark. In 1976, he recorded a tribute to the Opry, The Grandest Lady Of Them All, although sentimentality never led him to seek membership because that would have meant giving up the most lucrative night of the week in exchange for the Opry’s pittance. Customer evaluation for "The Rock'n'Roll Years (8-CD)"